An assured chiller. Disturbing and thrilling… with memorable characters and bundles of atmosphere. Britain now has its own forensic crime maestro. A terrifically stylish debut novel. It can only be a matter of time before Tom Thorne returns. There’s not much you can fault Sleepyhead on. Disturbingly original. Sleepyhead is one of the finest first-novels I’ve read in a long while. Mark Billingham has brought a rare and welcome blend of humanity, dimension, and excitement to the genre and earned an instant seat at the top table of crime novelists. An exceptional debut. A brilliantly dark and different new crime novel. Sleepyhead is the kind of novel that has you checking the locks and shutting the windows. 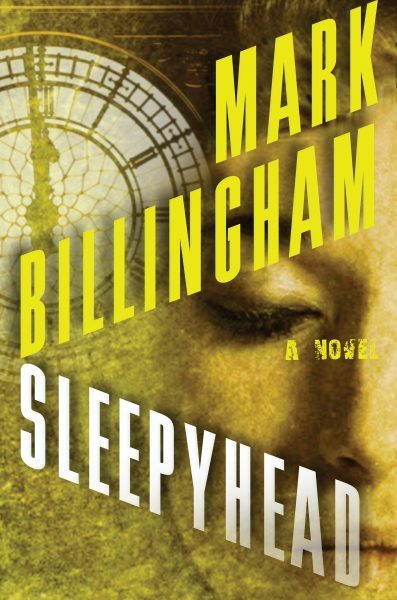 With Sleepyhead, Billingham leaps to the upper echelons of British crime fiction in a single bound. Ideal for those who like big goosebumps to go with their glowing tans. A compelling, brilliantly written thriller by a name to watch. It’s been a long time since London noir was this good. Who would have thought a stand-up comedian could write a British police procedural as good as those produced by crime queens Elizabeth George and Ruth Rendell? Brilliantly conceived and superbly plotted, with complex characters, deft twists, and an ending that’s both shocking and oppressive. A must-read. Billingham’s flawless plotting and the steadily increasing sense of fear combine to make this one of the best debut novels of the year.Going from 0 to 60 in record time, his next book is on my must read list. The Rocky Mountain News : Grade: A. A new twist to the twisted mind of a psychopath – an exciting debut novel. Billingham’s turn as a novelist, might be his most sucessful career move.